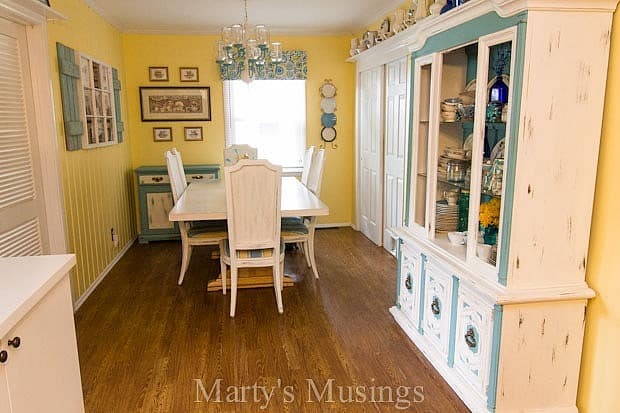 Today I want to share just a little bit about myself and give you a house tour, in case you’re new to Marty’s Musings. 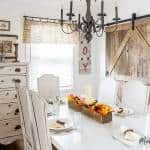 I have been blogging since 2008 and what began as a record of our family/adoption/faith journey has turned into a full time job writing about our DIY projects, easy family recipes, love of thrifty repurposing and living on less. 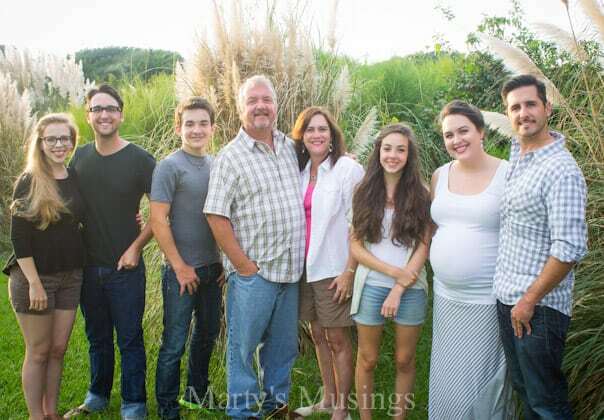 We are a very close family, having homeschooled for the last 20 years (with three more to go!) and shared all of life’s ups and downs together. 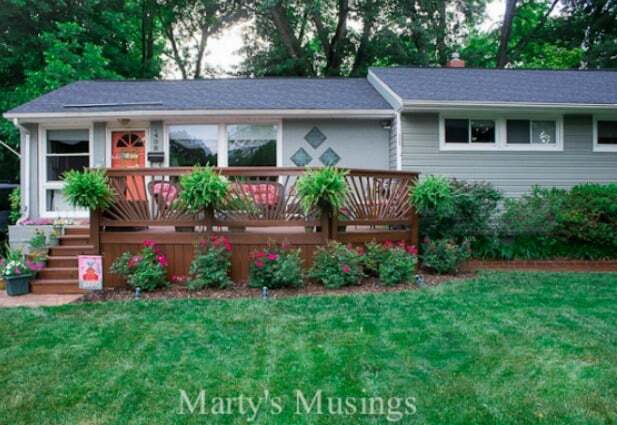 My DIY hubby and I have lived in our ranch style home for 23 years. Tim has learned his way around power tools and has practiced every trick of his trade (as a painting contractor) in making the most of the space we’ve been blessed with. 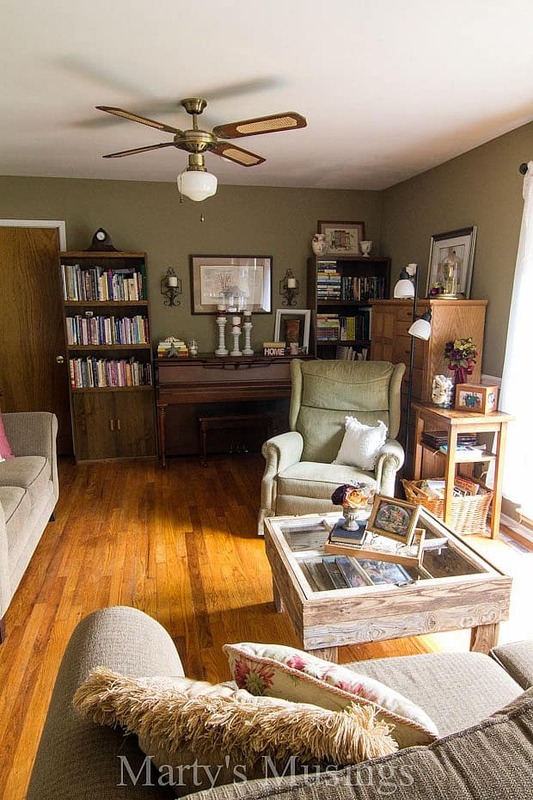 Living with 5 kids, numerous dogs and cats as well as various other critters, it’s only been recently we’ve begun to transform our space as our older children have sadly (yet joyfully for them) begun to leave home. Our home is a definitely a work in progress but we’re I’m having fun stretching our resources and creative muscles with DIY projects galore! 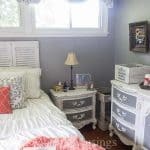 Our most recent project was our gray and coral master bedroom makeover. Except for one or two items, everything (and I mean EVERYTHING) is either a DIY project, a yardsale find or a hand me down. 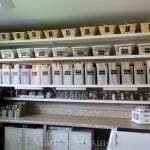 And lest you think I’m tooting my own horn too much, I share all this because I am not a designer or decorator. I’m just a gal who has learned to create on a budget while spending seemingly endless hours on Pinterest, yardsaling and dreaming. If I can do this so can you! 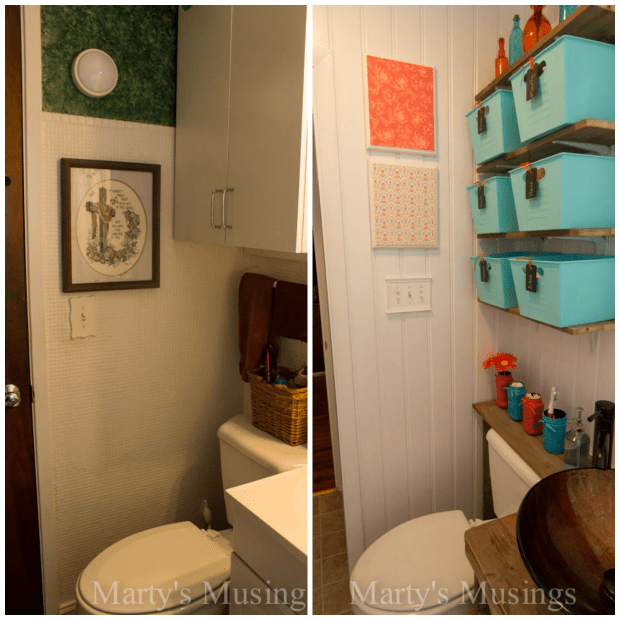 Since everyone loves a good before and after picture, here is a picture of our bathroom makeover. The bathrooms in our home are tee-ninesy. That’s Southern for “if you sit on the toilet your elbows touch the wall and your arms can reach the bathtub.” Way overdue for some major help, Tim gutted the bathroom and we started over! 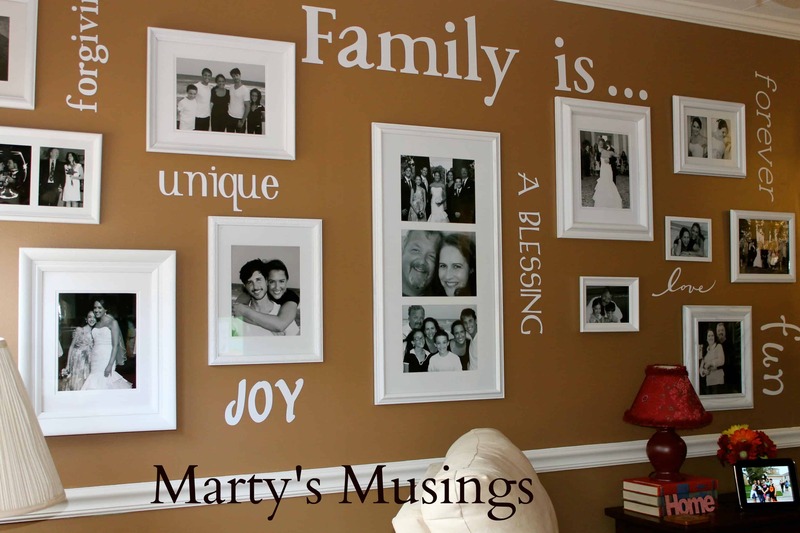 This gallery wall was created by all of our family to celebrate who we are as a family unit. I’ve only shared my teenage daughter’s room recently even though it was done a while ago. Her scripture wall is one of my favorites ways to personalize a room. Last but not least, we’ve spent a lot of time this year working on our outdoor spaces. 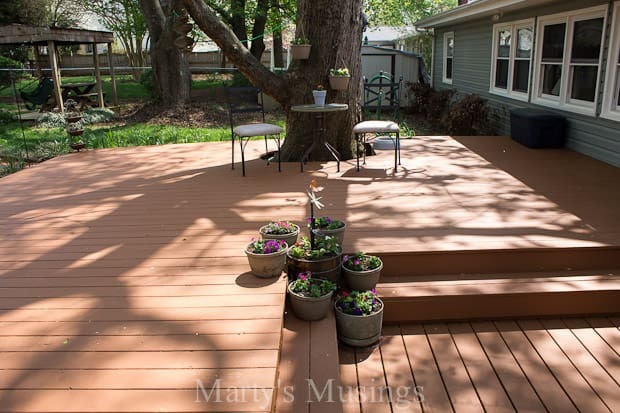 Here’s our back deck after some sprucing up and deck restoration. We love to entertain and sit around our fire pit relaxing. 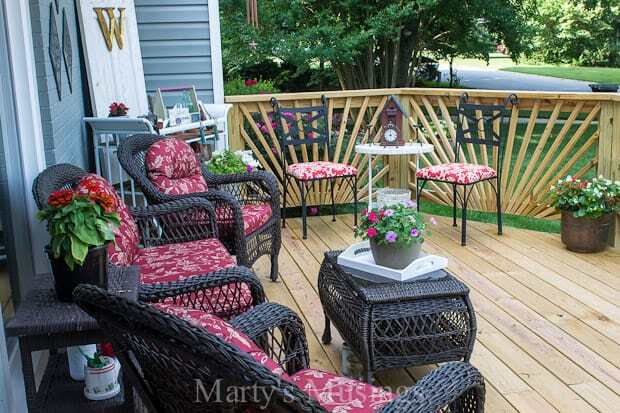 Our front deck has been a labor of love, from conception to hiring some help to Tim providing the finish details and my decorating with curbside finds and yardsale treasures. 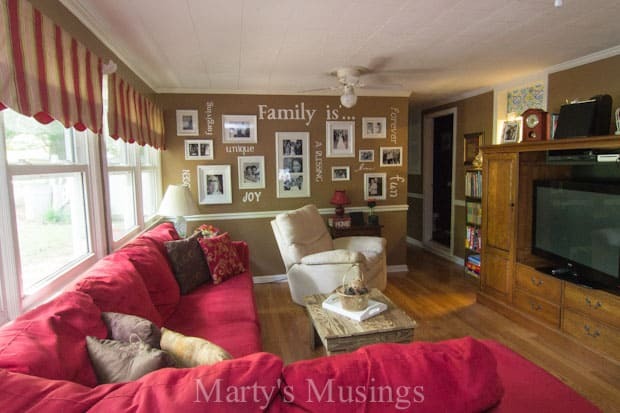 Thanks for the home tour. . Love the Family wall. Enjoy your ideas, DIY, and the choices you have made. Thanks for the inspiration. Thanks for visiting Ann! I hope you’ll join with me these 31 days. If you’re not following by email signup is easy at the very top of my blog! 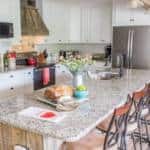 What a beautiful home! I love the family photo wall. And I love yellow and blue together. Thanks Jerralea! 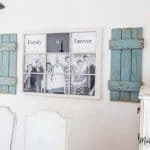 The family photo wall is still one of my favorite projects! And yes, I love yellow and blue, too! You have a beautiful home. Thank you for sharing it! Thank you, Joy! 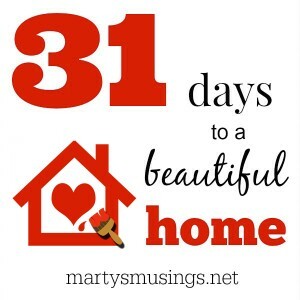 I hope you’ll join me for the 31 days series! I’m right there with you sister! Free, trash, traded, salvaged, or thrifted is my name/game. Your home is GOOORGEOUS! Thanks, Deborah! You now I love FREE the best! I’m so glad you’re following along the 31 days series. I’m under pressure! I’ve been following for awhile now but have never been on the house tour..thanks for sharing! My hubby is the DIY guy around here too…and he made me a very similar table out of a window…Can’t wait to see what’s next in the 31 day series! 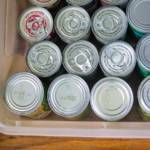 Thank you for following Cheryl! I hope the series will inspire and possibly entertain you as well! What beautiful pictures. 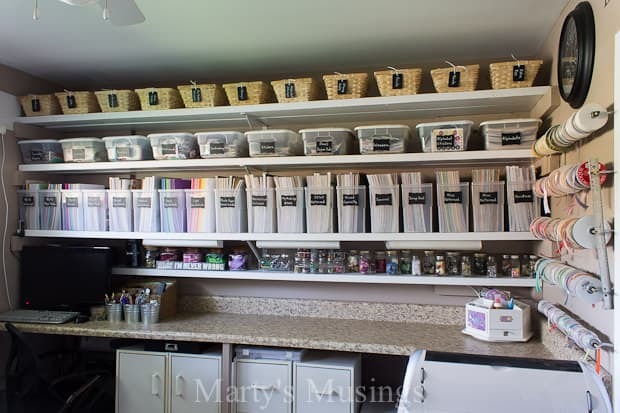 Is that really your craft room?? That really is my craft room, Lisa! If you click into the post you’ll see my purple wall!